Putting your business in front of the right people at the right time. Get a free SEO Quote today! Do you want your website to rank highly in Googles search results within your local community? If so, a strategic local SEO campaign is what you need. Local SEO is a lot different from any other SEO campaign and strongly focuses on location based keywords and key phases. Our Local SEO Perth experts have many years experience and knowledge when it comes to listing your business online so it is found by potential customers within your neighbourhood. 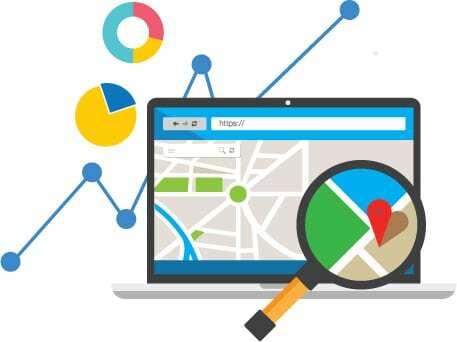 Our first step would be to make sure your website is listed in Google ‘My Business’ so that you are clearly visible within Google Maps / local listings, so when a potential customer is searching for a business offering a similar service within your local area, your business will appear within the search results. Enjoy More Local Traffic, Conversions and Sales! If google can’t find you, neither will your customers! Whether your business is based in Perth or throughout Australia, our SEO experts will optimise your website to enable customers to find your business among hundreds of others in your local area. Our strategic local SEO campaigns will help you develop your brand awareness and dominate the search results in your geographic area, resulting in an influx of targeted traffic to your website. It doesn’t matter how small or large your business is, our local SEO techniques will bring great results to you and business exposure. What are you waiting for, request a free – no obligation quote today! Get Your FREE Local SEO Perth Quote Today! Simply fill out the form below to the best of your ability, this will help us get a better understanding of your business and the industry you are in. Briefly describe your business and the industry you are in. Please think of three keywords that you think your customers would search online for... ie. "Website Designer Perth"